1. What is the basic pathophysiology of APE? How does this differ from a CHF exacerbation? Acute pulmonary edema (APE) or Acute decompensated heart failure (ADHF) results from a host of mechanisms. Historically, it was believed that edema resulted from decreased blood flow to the kidneys and decreased kidney function. This cardiorenal model from the 1940s led to the broad use of loop diuretics for treatment. In the 1970s, this model was replaced by the cardiocirculatory model based on invasive monitoring studies showing increased peripheral vascular resistance. This model stated that the increased vascular tone led to increased preload and afterload straining the left ventricle leading to failure. Finally, in the 1990s, the neurohormonal model emerged. It became well understood at this time that numerous neurohormonal mediators including dopamine, norepinephrine, adrenaline and angiotensin affected cardiac function and vascular tone. The sympathetic surge from these hormones and activation of the renin-angiotensin-aldosterone system (RAAS) leads to vasoconstriction, tachycardia and worsening cardiac function. Congestive heart failure (CHF) exacerbations differ from APE mainly in terms of the severity of neurohormonal activation. In particular, patients with CHF exacerbations are not typically sympathetically stimulated to the same degree (i.e., they do not exhibit marked tachypnea, tachycardia, hypertension, and sweating). As afterload increases, the left ventricle (LV) is unable to adequately handle pulmonary venous return leading to alveolar congestion. Pulmonary capillaries experience increased hydrostatic pressure leading to leakage of fluid into the alveolar space. Additionally, leakage of fluid into the alveolar space washes away pulmonary surfactant. While it is clear that there is increased fluid in the cardiopulmonary system, the origin of the fluid has been hotly debated for decades. The cardiorenal model preaches that increased circulating volume results from fluid retention due to decreased kidney function. However, Zile demonstrated that patients presenting in APE had increased cardiac filling pressure without significant change from their dry weight(Zile, 2008). Chaudry and colleagues quantified this finding that 50% of patients in APE had < 2 lbs of weight gain (Chaudry, 2007). Instead of fluid gain, it is more likely that the increased cardiac filling pressures are due to fluid shifts, specifically, constriction within the splanchnic circulation (Fallick, 2011). With the elucidation of the neurohormonal mechanisms leading to APE, treatment should be targeted at interrupting these processes. 2. What medications do you use for immediate management of APE and why? Patients who present with APE are typically markedly hypertensive and in acute respiratory distress. Rapid initiation of appropriate treatment is vital to reversing the neurohormonal surge and rescuing patients from respiratory and complete cardiac failure. Immediate interventions should focus on reduction of afterload and preload as well as respiratory support. Nitroglycerin (NTG) is the most important first-line medication in treatment. NTG at lower doses acts as a venodilator leading to decreased preload and at higher doses (> 100 mcg/min) is a potent afterload reducer. It can be given sublingually, transdermally and intravenously making it easy to administer and easy to titrate. Studies have looked at the use of nitroglycerin in APE (Bussmann, 1978), compared it to loop diuretics (Cotter, 1998) and investigated the application of high-doses (Levy, 2007). The key is to start the patient early on nitroglycerin and rapidly titrate up. A sublingual tab of 400 mcg is the approximate equivalent of 40-60 mcg/min for 4-5 minutes. If the patient tolerates this dose, it is reasonable to start the IV infusion at 50 mcg and rapidly titrate up. Often, doses of upward of 200 mcg/min are required to effectively reduce preload. Once the 100 mcg/min threshold is achieved, the patient will also experience the benefits of afterload reduction. Angiotensin converting enzyme inhibitors (ACEI) are less studied but have been recommended in patients with APE as they are potent afterload reducers. ACEI act by halting the RAAS activation described above. Hamilton performed an RDCT of sublingual captopril in addition to standard therapy versus standard therapy alone and found that the addition of an ACEI led to increased patient comfort and a non-significant decrease in respiratory failure (Hamilton 1996). Another small study showed improved cardiac index and stroke volume resulting from ACEI use (Haude 1990). Sacchetti, et al. showed that ACEI use in APE patients was associated with a lower ICU admission rate (OR = 0.29) and lower intubation rates (OR = 0.16) (Sacchetti 1999). Morphine and loop diuretics represent two previously recommended interventions that have been found to be less helpful and potentially harmful. Morphine, long a part of the APE algorithim, is not effective in afterload reduction and has been shown in observational and retrospective studies to increase morbidity and mortality (Hoffman, 1987; Sacchetti, 1993; Sacchetti, 1999; Peacock, 2008). It should no longer be part of our treatment package. Loop diuretics should also not be used early in treatment. As discussed earlier, 50% of patients do not have significant volume overload. Increased cardiac filling pressure results from shifts in fluid instead of fluid retention. Additionally, many of the patients who are volume overloaded have ESRD and loop diuretics will not be useful. Finally, small studies have shown an initial increase in preload resulting from loop diuretic administration, potentially leading to worse outcomes (Kraus 1990). Felker and colleagues give a passionate argument on the low utility of loop diuretics (Felker 2009). 3. What is the role of NIPPV in APE? Which is preferred: CPAP or BiPAP? Simultaneous to the initiation of NTG therapy, non-invasive positive pressure ventilation (NIPPV) should be started. There are a host of articles demonstrating that NIPPV decreases intubation rates and ICU utilization by improving respiratory function (Mehta, 1997; Nava, 2003; Gray, 2008). 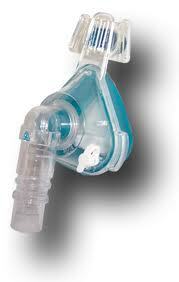 A very recent study found a reduction in ICU admissions from 92 to 38% with the use of bilevel NIPPV (Liesching 2014). 4. When do you intubate? As with all critical disease processes, the decision to intubate is a clinical one. There are no guidelines, lab values or vital signs that can give you this answer. In general, these patients are older and have less cardio-pulmonary reserve and, as a result, tend to tire quickly. Failure to oxygenate or ventilate, evidence of tiring, and failure to tolerate NIPPV are just some of the criteria used to consider intubation. It is important to note that intubation and mechanical ventilation will allow the patient to decrease their work of breathing and increase the available energy for myocardial demand, which may improve cardiac function. This entry was posted in Uncategorized and tagged critical care, pulmonary. Bookmark the permalink. The physiologic argument against loop diuretics in APE is solid. My review of the medical literature turned up with minimal data. Are there head to head trials comparing APE treatment algorithms with and without loop diuretics? Also, let me know if my interpretation is accurate: You advocate avoiding loop diuretics in the acute setting in patients with overt sympathetic stimulation and limited peripheral edema. However, you do not withhold loop diuretics in patients with low sympathetic tone and overt fluid overload.